You need tablecloths to both protect your table and make your next party, catering event or food service engagement look great. 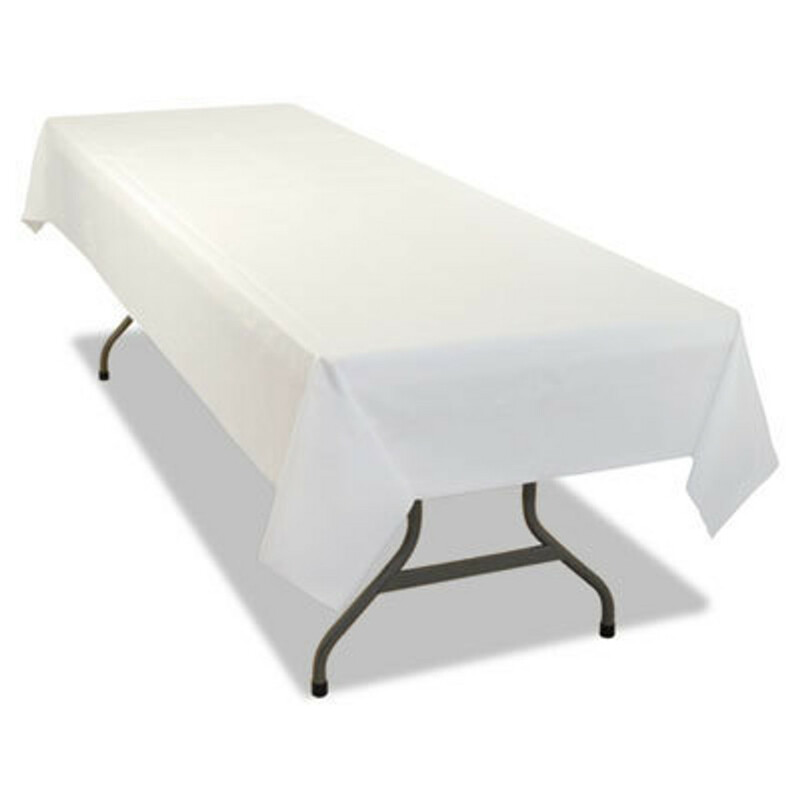 We have plastic tablecloths, paper tablecloths and polyester tablecloths that are up to the job. Buy tablecloths in your company color, or get ones that match your theme. Our tablecloths come in a variety of shapes and sizes, so you're sure to find something that will fit all of your tables. We also carry exam table paper if you need covers for your office.